The Aratere in Wellington Harbour. Courtesy of KiwiRail. 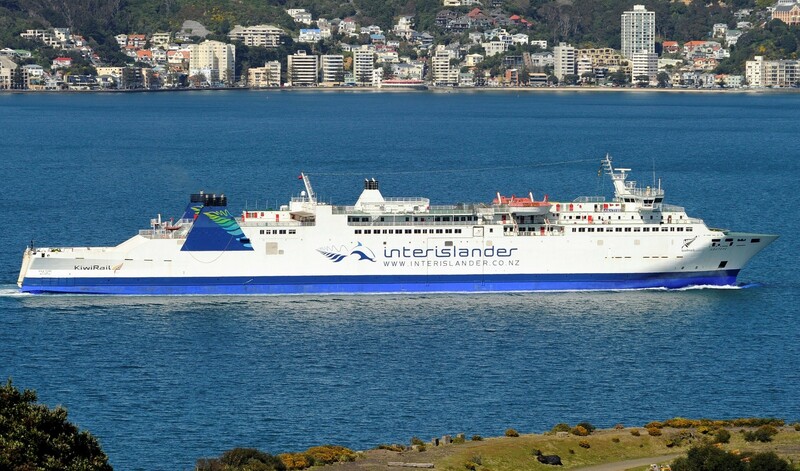 On 5 November 2013 the passenger and freight ferry Aratere was in Cook Strait en-route from Picton to Wellington when the starboard propeller shaft fractured and the propeller was lost. The ship was able to complete the trip using its port propulsion system only. When the ship arrived in Wellington, divers confirmed that the starboard propeller tail shaft had totally fractured within its tapered section, near the forward end of the propeller. New propellers had been fitted to the Aratere's existing propeller shafts as part of a larger project to lengthen the vessel more than two years prior to the incident. The starboard propeller along with the remaining section of the tail shaft was later recovered from the seabed. The Transport Accident Investigation Commission (Commission) found that the shaft failed due to a fatigue fracture that had grown (propagated) through the tail shaft to a point where it was unable to carry normal operating loads. The fatigue crack initiated in an area of fretting on the shaft taper just inside the bore of the propeller hub. The fretting was likely to have been the result of a sub-optimal fit of the new propeller onto the existing tail shaft. Fretting and corrosion weakened the tail shaft and made it more prone to fatigue failure. The Commission found that vibration from a number of potential sources and uneven thrust between the individual blades of the propeller caused sufficient uniaxial bending forces to drive the fatigue crack through the tail shaft. The uneven thrust was the consequence of minor differences in the average pitch of each blade resulting from the manufacturing process, but more so due to the blades being damaged while in service. The Commission also found a lack of documentation about the process of fitting the propellers and the final fit achieved. This is significant because the fitting of the starboard propeller resulted in fretting, which weakened the shaft. A recommendation has been made to the Chief Executive of KiwiRail to address this issue. The Commission has also made a recommendation to Standards New Zealand to forward the report to the International Organization for Standardization Secretariat for its information and to consider whether the current standards for manufacturing large-diameter marine propellers are appropriate for modern, high-efficiency propellers that operate closer to cavitation margins.